Seth MacFarlane was a superb host, but the overall ceremony was lacking. Lincoln earns 12 Oscar nominations. Canada’s Rebelle still in the running too. Lincoln leads the Oscar race, Life of Pi is second. But there are more than a few surprises among the nominations. 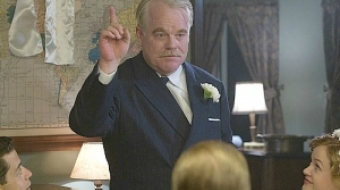 Philip Seymour Hoffman is The Master and Joaquin Phoenix his newest disciple in my choice for best film of the year. There's also a definite worst movie of 2012.